I’ll admit it: Those pesky grays are starting to become a reality in my life. The gray-hair game is somewhat new to me, and keeping up with my fading roots is just another one of those annoying “new normals” in my life. I don’t have enough grays to really warrant bi-weekly trips to the salon (even if I did, I certainly don’t have the time, energy, or cash for that? ), but they’re still an ever-increasing problem. I’ve been determined to keep my grays at bay though, and have tried and tested a slew of gray hair cover up products, some with pretty fantastic results. Fortunately, I’ve found that fading roots aren’t tough to tackle. While all these products are fairly easy to use, some take a little more time than others, and all deliver slightly different results. If you’re trying to decide which product to try, here are a few practical how-tos and products for the best gray hair cover up…in a flash. If you can carve some time out to commit to fixing your roots, this is the most long-lasting solution of the bunch. A box of permanent color designed especially to cover those pesky strands is the perfect option. I’m especially partial to Clairol Nice ‘N Easy Root Touch-Up ($6.99). Available in a wide range of colors, it’s formulated to work in 10 minutes and provide 100% gray coverage. In dealing with my terribly stubborn roots, though, I let the product work for 15 minutes before rinsing. This ensures complete coverage of my grays. Bonus points for the easy applicator brush that lets me target color precisely where it needs to go. Mix the colorant (#2) into the developer (#1). Shake well. Apply the mixture to your roots, making sure to be thorough. Once applied, let the color sit for 10 minutes, or up to 15 minutes if you have stubborn gray hair. Rinse with warm water until the shower water runs clear. No doubt you’ve seen the various sprays, brushes, and lipstick-like tubes devoted to the monumental goal of covering your grays. What was once a bare-bones market has flourished dramatically over the years, so much so that the choices now are overwhelming. I’ve tested my way through quite a few, usually with disappointing results. 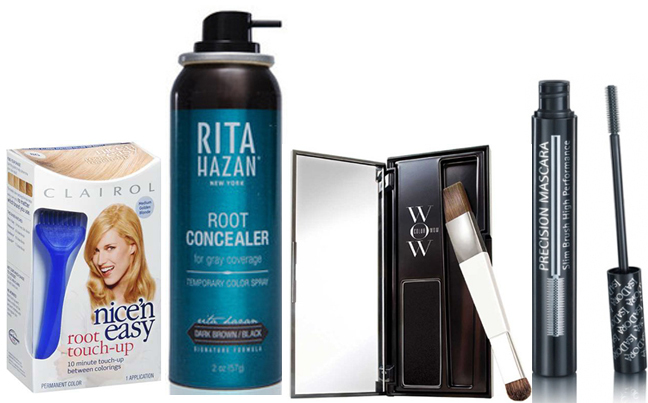 But what has worked for me is Rita Hazan Root Concealer ($25), an aerosol spray that delivers instant coverage. There are only five colors available, but I was fortunate to find an exact match. It dries in a few minutes and is ideal for those last couple of weeks leading up to your salon appointment. Apply this product on dry, styled hair. Shake the can well to mix the ingredients. 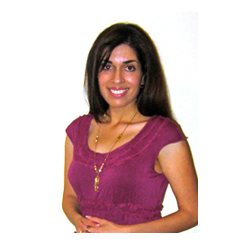 Hold the can 6-12 inches from your hair and spray roots in a light and steady stream. In the early days of root coverage products, the only choice was a sad-looking tube that was meant to “easily” cover grays. Only it wasn’t so easy at all. Turns out what I needed was something similar in compact form. I’m a big fan of Color Wow Root Cover Up ($34.50). No, it’s not cheap, but it works. It’s a powder formula, pressed into a pan and packaged with a double-sided brush. I especially like using the tapered end to attack my grays, because it’s so easy to deliver precise coverage without any visible mess. In fact, there’s no mess at all—not even a dusting of color to clean up. It’s also ideal for areas around the temples that may not be as easy to cover with spray products. Dip the brush into a small amount of powder. (Use the smaller end of the brush if you’re looking to achieve precision results, and the larger side for more all-over application). Dab the powder on visible roots, starting from the scalp and working outward. Continue layering on powder until your roots dissapear. Let the product sit for a minute before brushing and restyling. My stylist long ago suggested that good old mascara is the best tool for covering grays. I tried it but didn’t love the stiff feeling it left behind. Then I got my hands on a tube of Rashell Masc A Gray Hair Mascara ($6.89) and was pleasantly surprised by the results. Available in 12 practical colors, the mascara envelops strands with rich, true color and doesn’t smudge or fade. It’s tough to track down hair mascaras that feel as light as this, and I love that the dark chocolate color is such a great match. It works like a charm and, best of all, is the quickest way to achieve results. Apply the hair mascara using the wand to your roots and stray gray strands. Let product dry for 1-2 minutes before restyling.